Product vision, unlike company vision statement, is not about wishful thinking: "We want to be number one in all markets we operate in". Product vision is a clearly defined set of statements that describes a product, it's market and it's USPs. Roman Pichler has described Product Vision in his book "Agile Product Management with Scrum" and in the following blog post: Envisioning your Product. "For a mid-sized company's marketing and sales departments who need basic CRM functionality, the CRM-Innovator is a Web-based service that provides sales tracking, lead generation, and sales representative support features that improve customer relationships at critical touch points. Unlike other services or package software products, our product provides very capable services at a moderate cost." 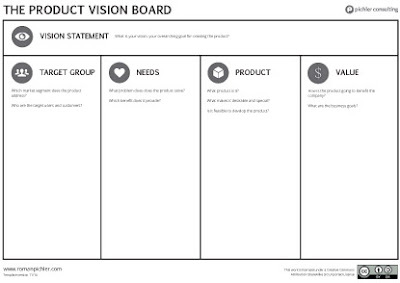 Product Vision is a simple yet very powerful tool from informational, organizational, planning and leadership perspectives. When anybody asking you: what your product is about? Tell your product vision. Need to present your product to a senior management? Tell your product vision. Got into an elevator with a CEO? Ask for a pay raise ... and tell him your product vision. Keep on repeating your product vision until everybody knows it and able to repeat it themselves. What do you do when you don't have enough data to make a decision? Follow highest paid executive's opinion? Trust your gut? Don't do anything? Try to follow your product vision the next time when it happens. When you don't have a great deal of confidence in a decision - always check it with your product vision. If those align - proceed, if not - think again. Having a product vision also helps in setting the right priorities. Items that support product vision should always be up top on a priority list. Product vision is usually a statement created by the entire product team. Despite the fact that product owner is a formal keeper of a product vision, the entire team is creating it and therefore owns it. This fact helps the team to make better decisions in product development. 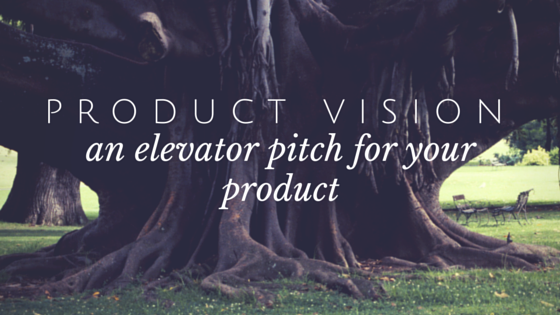 Every product needs a vision. It should include information about target customers, key problems, critical solutions and clear differentiation. Product vision is a joint creation of the entire product team. It also serves as the main reference when making product decisions. Communicate product vision widely and often until it'll become a common knowledge.